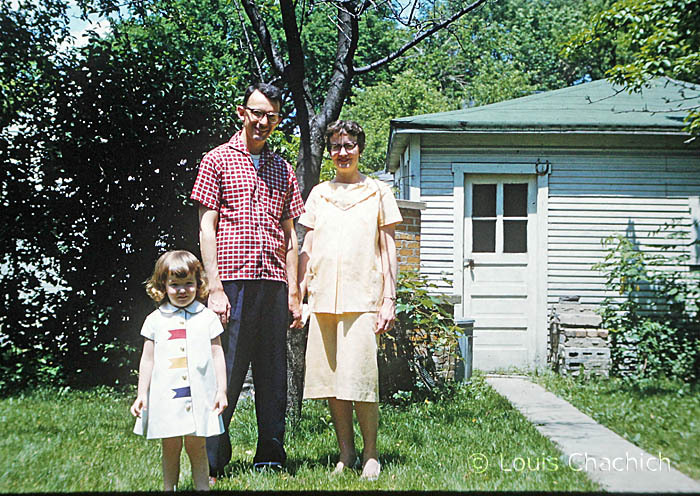 This is Bill (William) & Ruth Clement in Des Plaines, Illinois with their daughter Barbara. I didn’t realize at first but later determined that Ruth is pregnant with her son Rich here. I was able to track down Rich Clement and share this and other pictures of his family with him. He in turned shared them with his dad and sister. (His mom passed away in 2011). Rich’s dad, Bill, remembered my parents well he said and “raved” about my mom’s dumplings. Very cool that something like that would still resonate 50+ years later. But I gotta admit, I like my mom’s dumplings too. February 6th, 2015 at 1:52 pm Hi, I want to let you know that your blog is listed in today’s Fab Finds post at http://janasgenealogyandfamilyhistory.blogspot.com/2015/02/follow-friday-fab-finds-for-february-6.html Have a wonderful weekend!